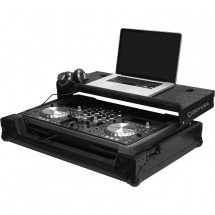 The Reloop TTM Case Tray is a rugged flight case that can accommodate two turntables and a mixer. 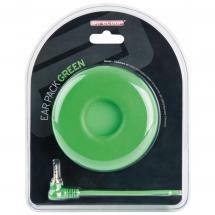 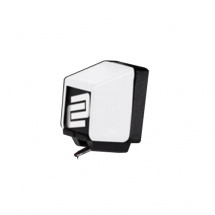 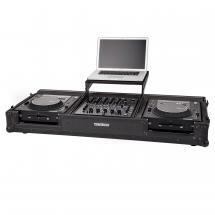 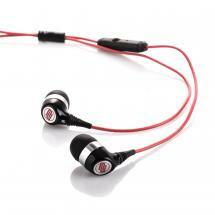 As such, it's a great asset for DJs on tour, mobile discos and entertainers on the road. 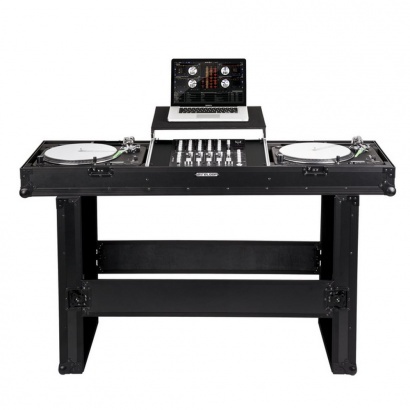 The cover that protects your mixer during transport doubles as an extendable, lockable tray for your laptop - a practical feature for digital DJs. 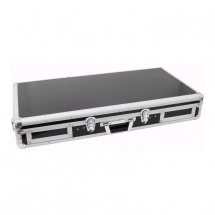 The exterior of the flight case has been reinforced with aluminium extrusions and protective ball corners, and sturdy butterfly latches prevent the case from opening up during transport. 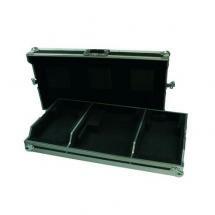 Thanks to a practical trolley system with wheels the TTM Case Tray can easily be moved. 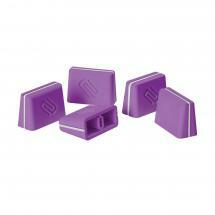 The interior of the case is fitted with soft, shock-absorbing padding that keeps your gear safe and sound. 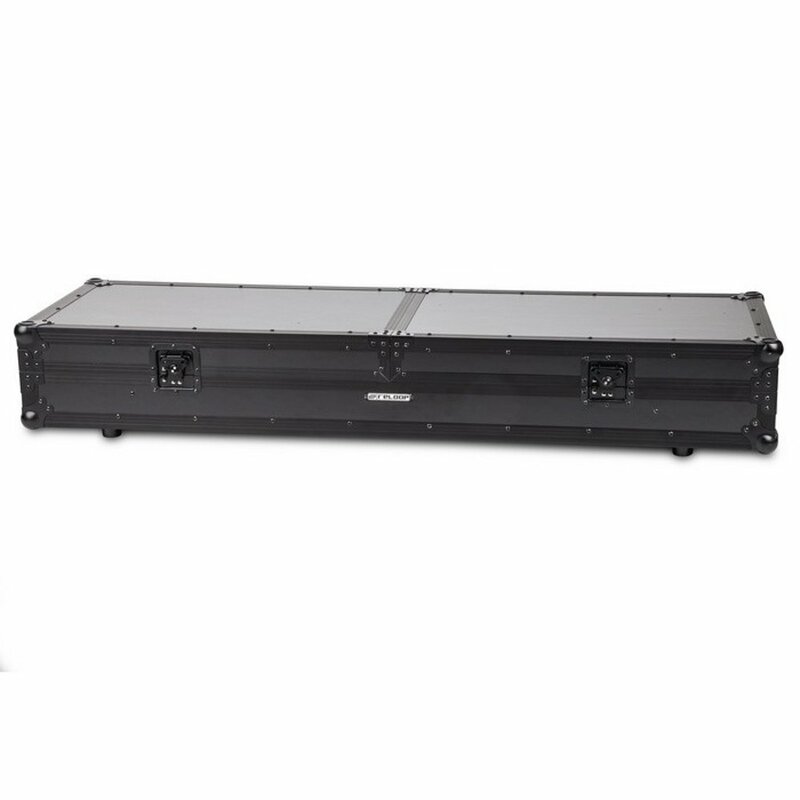 The lid of the TTM Case Tray does not only protect your equipment, but also serves as a console stand, as is shown in the first image. 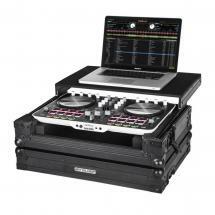 That's right: you can convert the flight case into a complete DJ booth! In addition to the popular Reloop RP series, the touring case is also compatible with the Technics SL1200 and SL1210, the Numark TT, the Stanton T, the Pioneer DJM-700 and DJM-850 and the Reloop RMX-40 DSP and USB. 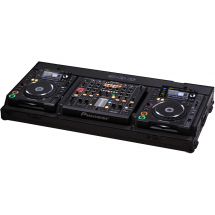 In short, the Reloop TTM Case Tray is a multifunctional, exceptionally practical case that will save many DJs a lot of trouble. 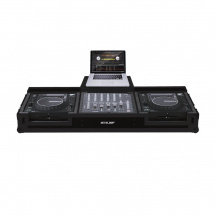 Case geeignet für Reloop RP-1000 / 2000 / 4000 / 6000, Reloop RP-7000 / 8000, Technics 12 Series, Numark TT Series, Stanton T Series, Reloop RMX-40 DSP / USB, Reloop RMX-80, Pioneer DJM-700 / 750 / 850, Allen & Heath DB2 / DB4, Behringer DDM 4000.